A lost sports ball is a tragedy, but at least this old basketball didn’t go to waste when it was separated from its owner. 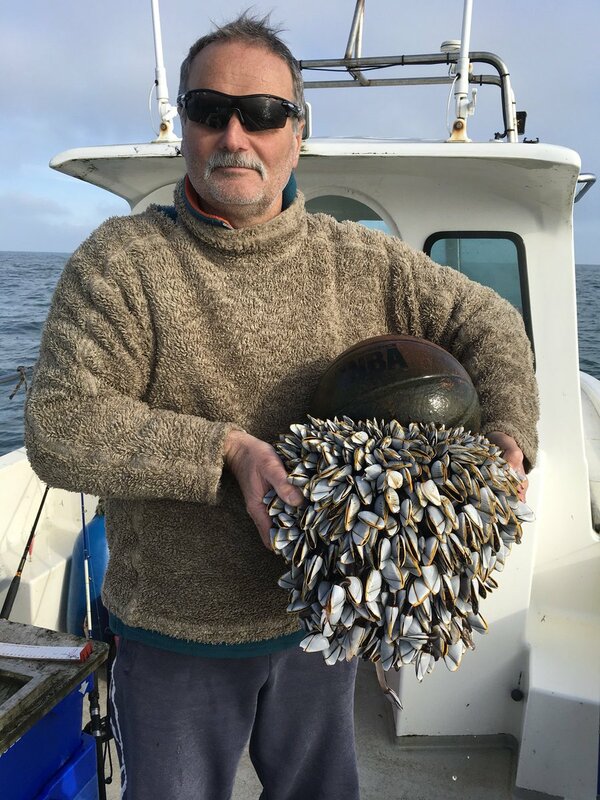 The Spalding NBA ball was found about 10 miles south of The Needles, Isle of Wight – but it has picked up quite the following on its travels by the look of it. That’s a lot of goose barnacles looking for a slam dunk. “We were just on our way out to a fishing mark when we saw something bobbing about in the water,” said Annie Gilbert, 54, a commercial fisherwoman fishing out of Poole, Dorset, who was with her husband Ian. Annie believes the ball has been at sea for years and she and Ian put it back into the water to continue its journey, where Annie thinks “the colony of barnacles will possibly grow on the underside”. The images of the ball attracted plenty of attention on Twitter, with many likening it to the film Castaway, where Tom Hanks’ character loses his beach ball companion, Wilson. Perhaps in a few years’ time, someone else might come across the same ball, entirely covered in barnacles.